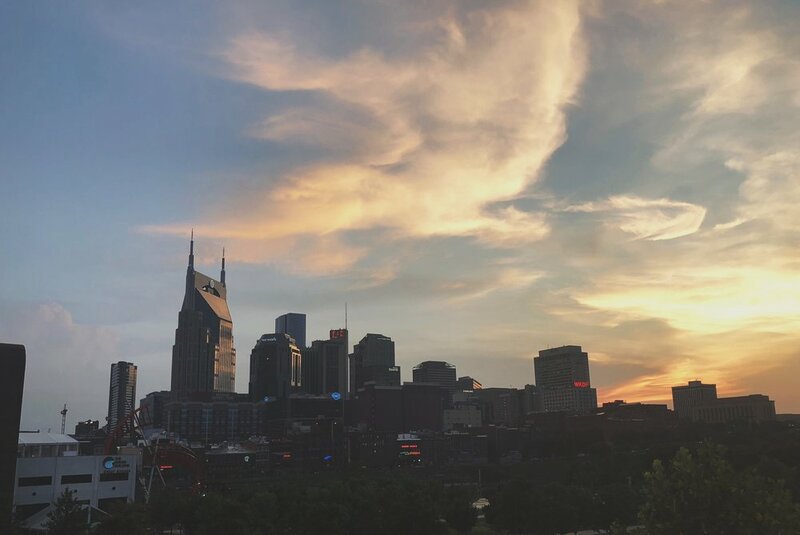 H + lou / nashville looks good on you. — SOMEDAY, SARAH. my sister, H, and her bf, lou, have been trying to make their way to nashville since the fall, but we've had to reschedule like seven times. when the day finally arrived for them to get on the airplane, there were delayed flights and a missed connection and a last-minute change-of-plan road trip from virginia. H has been here twice before (in 2014 & 2016) so she's an old pro, but this was lou's first trip, so we showed him all the things. including what a trip to trader joe's is like, because apparently he's never been. it was not as unpleasant as he imagined it would be, is what he said. since they ended up getting here in the afternoon, needing a nap and a shower, we kept it low key until we decided to eat dinner (at burger up! obviously) and drive around looking for a spot to see the fireworks without getting stuck in traffic, since it was the fourth of july and nashville is ranked in the top 10 best fireworks in the country, according to some article i saw online a couple years ago (which make it sound so legit, right?). we ended up in a used car dealership parking lot that i pulled into at the last minute, just as the fireworks were starting. we had a pretty decent view, considering. we started in 12 south, my favorite neighborhood. 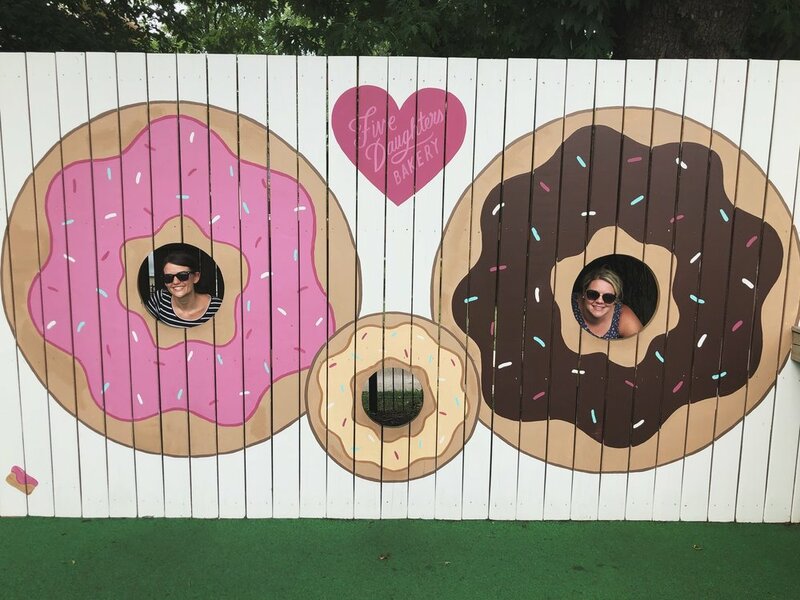 we popped in and out of shops, got espresso from portand brew, a doughnut from five daughters, sandwiches to go from frothy monkey, and stopped at las paletas on our way out because it was hot and that was reason enough. i was hesitant, because we were on our way to eat lunch, but then H said, "we're grown ups. we can make our own choices." i'm 28 and forever forgetting that i'm the adult who gets to decide if i eat a popsicle before lunch. from there, we went to bicentennial mall park to have a picnic in the most shaded spot we could find. did i mention it was like, a hundred degrees + humid? we went there for the bells and waited 15 whole minutes for a song to play, which i then did a mini interpretive dance to, at H's request. 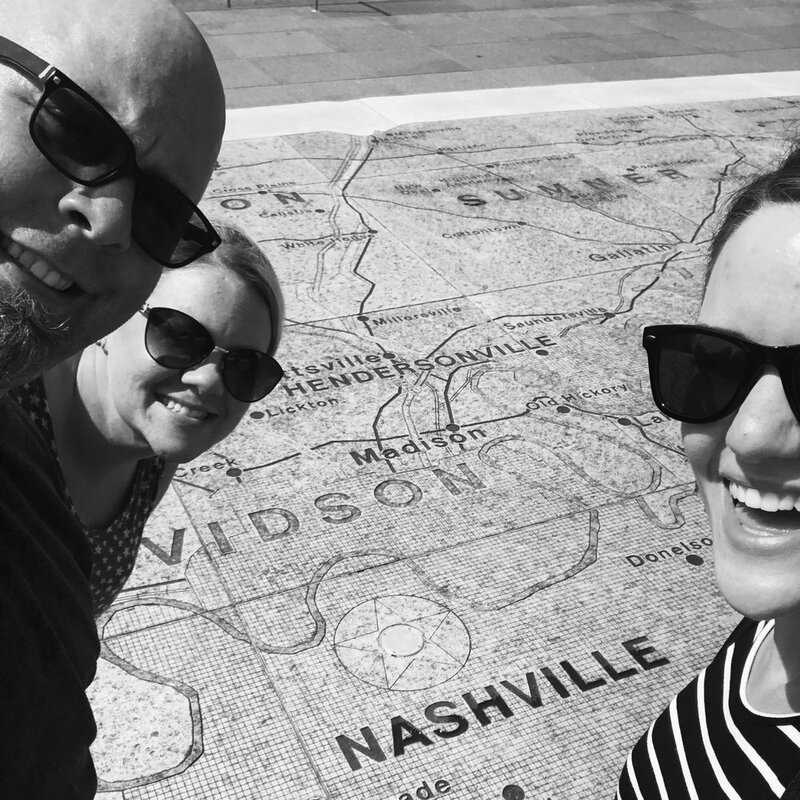 we walked around the park, going from one shaded spot to the next, until we reached the end and snapped a quick selflie with the nashville location on the enormous map on the ground before heading straight for the car. we went home, took naps and showers, and then went back out to walk up and down lower broadway. on our way there, lou asked if i go downtown often, to which i replied with a quick "no." i thought about explaining before ultimately deciding it would be better to wait. after about three minutes on the street, he looked over and said, "now i get why you don't come here." which is to say, the best thing about downtown is the walking bridge and the view and that's it. the rest is one giant tourist trap. we stopped at edley's bbq for dinner and then headed home from there. we had slow mornings at home, making coffee and eggs, just the way i like it. 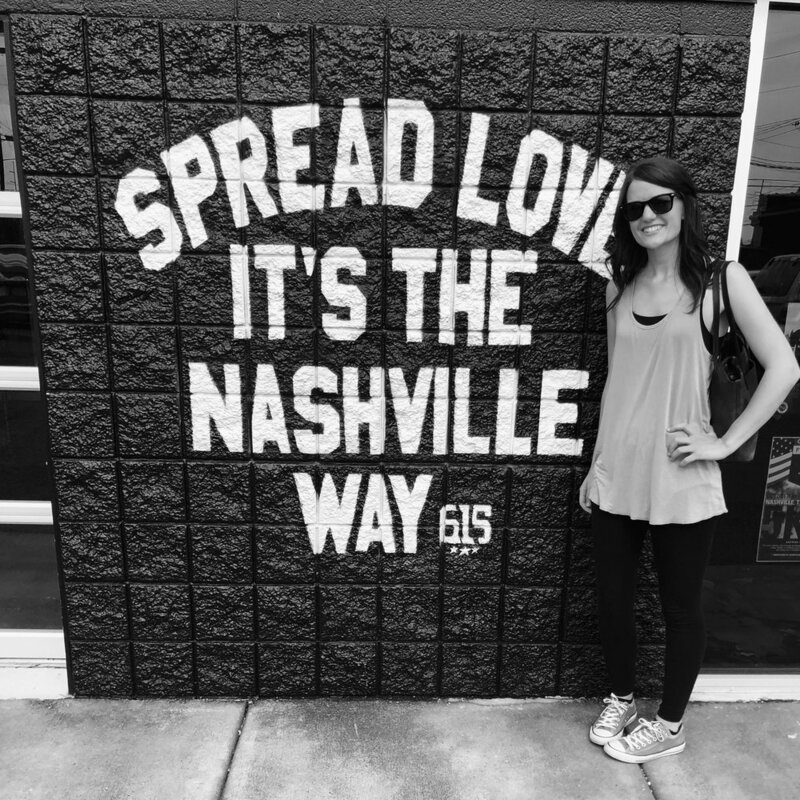 on this day, H and lou ventured downtown again, to the johnny cash museum, while i stayed back and worked on some side projects and avoided downtown and the thunderstorm that rolled in just as they pulled out. it worked out, because they still went for it (and got soaked!) and i would not have been up for that adventure. after they got back, we drove to project 615 and fashionable before shopping at trader joe's and making dinner at home. 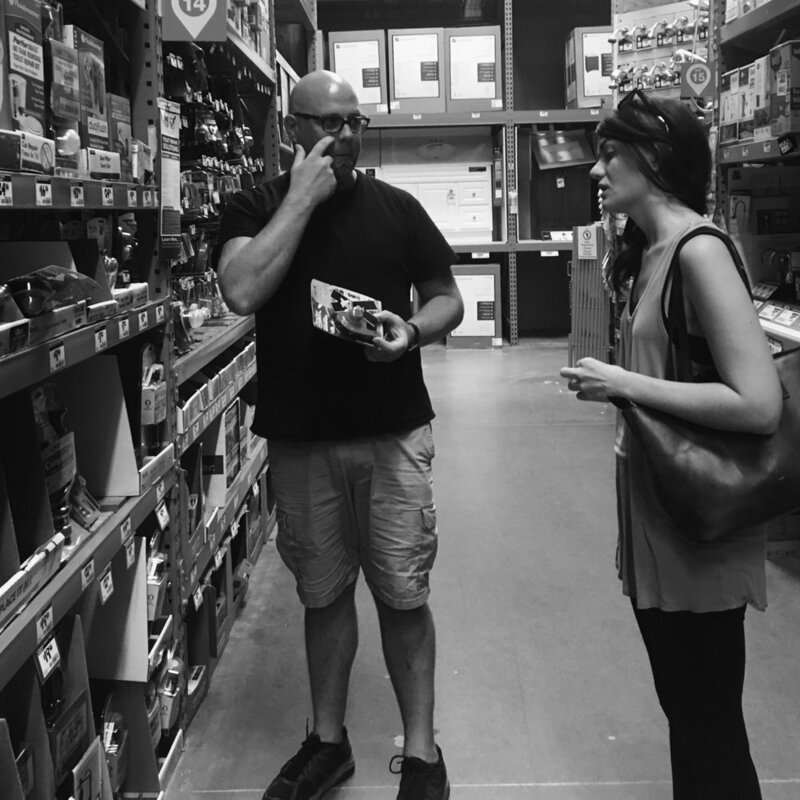 we also popped into home depot, where H snapped that lovely photo of lou and i discussing toilet flappers, which i didn't know were a thing until mine broke. lou is the mvp for making it so my toilet could flush without having to stick my hand in the water. we shopped in downtown franklin on this day. which, downtown franklin > downtown nashville. we also stopped at the factory, which i've somehow never been to? from there, we shopped in hillsboro village and ate at double dogs before stopping to see the parthenon in centennial park. with a 6-something flight the next morning, we called it a day after that.